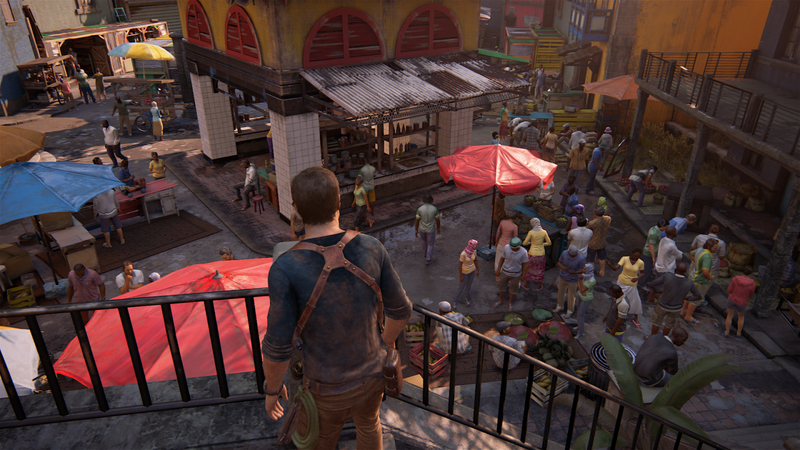 To be completely honest I've never really been that into the Uncharted series. Naughty Dog's PlayStation exclusive brand of extremely Tomb Raider inspired action adventures. Admittedly the only releases I've tested in the series is the very first game and the PS Vita version. Having recently won a ton of swag from a PlayStation competition I was lucky to receive a promotion copy of Uncharted 4 alongside a neat steelbook cover. 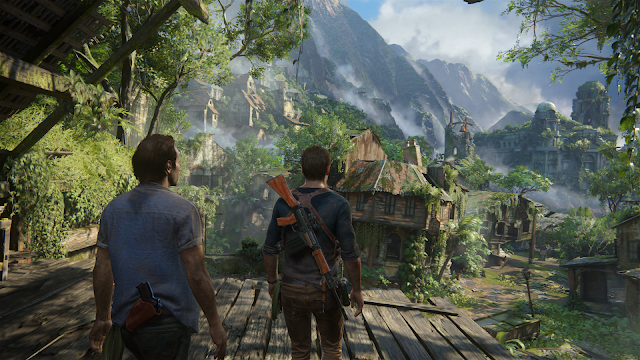 I was destined to finally play Nathan Drake's latest adventure. So with Lara Croft's latest Rise Of The Tomb Raider expedition fresh in my memory, how does this uncharted adventure stack up? 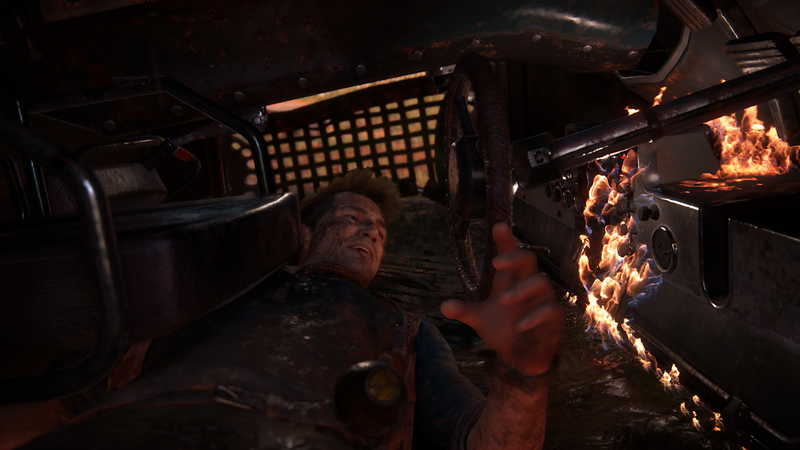 Luckily for me UC4's story spans between Nathan's childhood, his years before the PS3 trilogy and after. As such, it's story stands quite well on it's own without prior knowledge to the series. The main part of the game is before and after the original trilogy, but the flashbacks to his orphan childhood are a welcome change of pace and well crafted ones at that. They're atmospheric, character building chapters if you like. 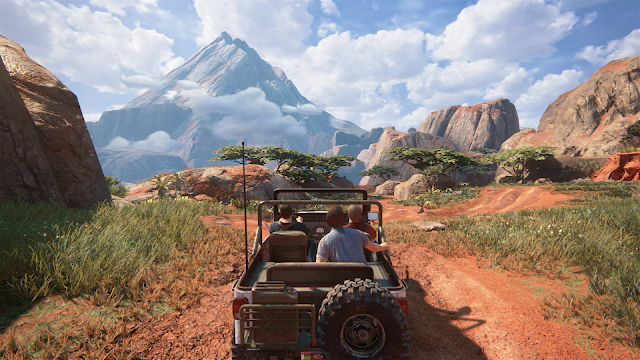 The game is mostly about Nathan's relationship with his old brother Sam. The voice-overs and general dialogue between these two siblings is extremely well done. Probably one of the most natural dialogues I've heard in games and the sublime animation of movement and facial expressions combined with them, result in an extremely high level of quality to the story. 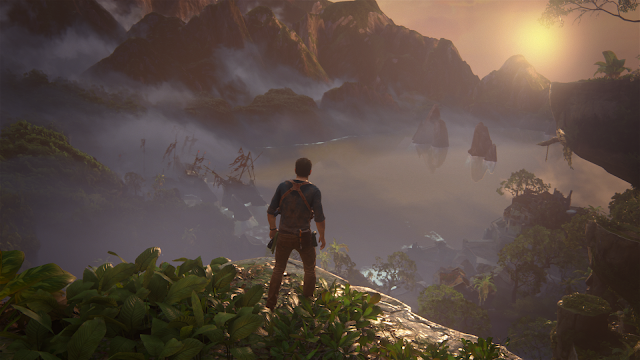 Gameplay in Uncharted is pretty straight forward, and reminds me somewhat of the previous Tomb Raider reboot franchise as such (Legend, Anniversary & Underworld). Quite a close resemblance of Tomb Raider Legend rather than the new TR franchise in fact, with it's more linear exploring. Areas are corridor designed, but fairly wide and offer some small choices of routes. Combat largely rewards stealth as an alternative, while the actual shooting becomes quite a challenge when the guards are alerted. The AI works deviously at outflanking you, giving most shooter fans a good challenge, though I feel the actual gameplay of the combat is a little floaty. I suspect a sort of input lag here making them so. I would have preferred tighter shooting mechanics and more feedback as to when you're hitting people. It often makes the firefights an annoying affair with the AI being so aggressive yet your controls not being up to par for fast reactions. If this was intentional to make it harder or not is difficult to say. I would also have liked some areas to be inhabited by wild animals rather than constant killing of random mercenaries. We have seen these same boring mercenaries in so many games now, enough already! Visually the game is jawdropping. 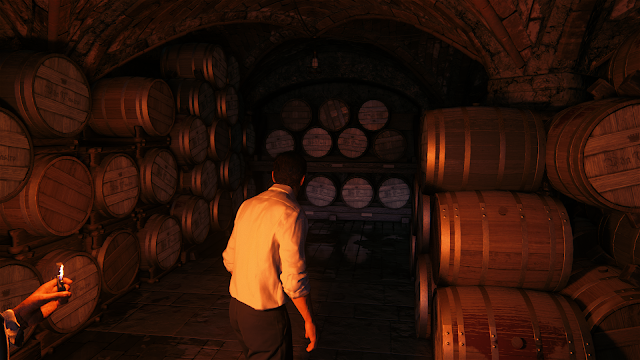 Each level almost surpassing the previous one with incredible detail and visual effects. I've seldom seen jungles, caves and ancient fallen cities so pretty before! The sheer amount of foliage surpasses most other games too, tons of leaves, grass and plants everywhere. If comparisons are to made, then yes, Uncharted 4 looks, directly compared, prettier than Rise of the Tomb Raider. 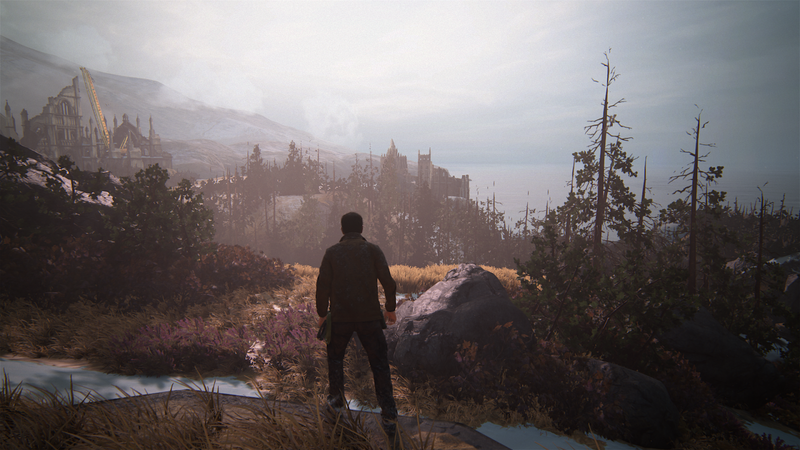 Offering even some huge open views of landscapes to rival Lara's latest. However, it's a far more restrictive world, with none of the freedom ROTTR boasts. Uncharted 4 is a beautiful walk from A to B, while ROTTR offers a Metroid-like structure with a large free-roaming design. I much prefer the latter as it lets you find new equipment and traverse areas that were previously closed. 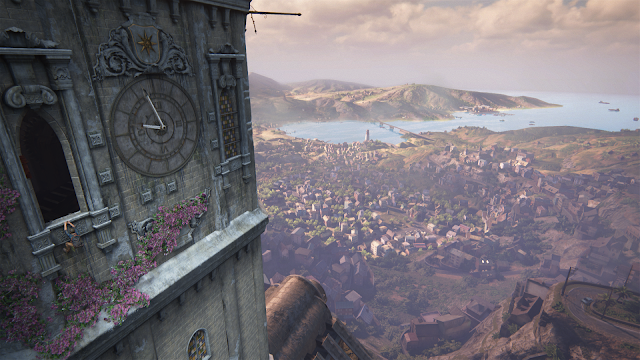 I like familiarising myself with environments rather than simply passing through them as visual backdrops like in UC4. 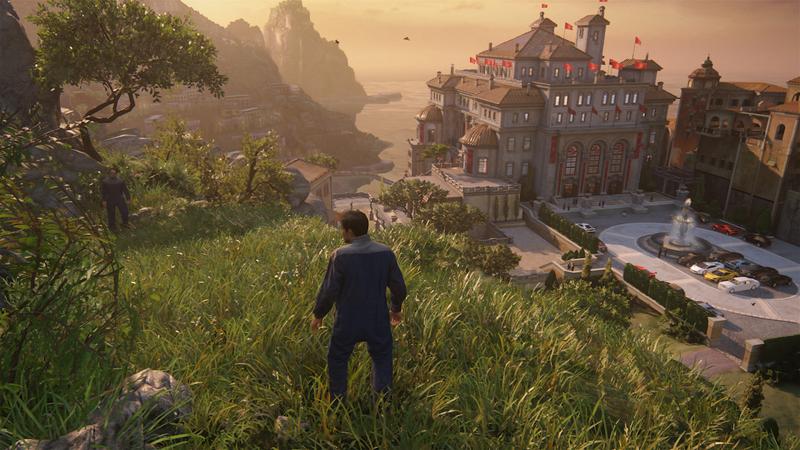 Both are pretty games and do each their visual appearance beautifully, but UC4 quickly feels restricted when it comes to it's linear path structure. There's no denying that I really enjoyed my playthrough, and perhaps my most memorable moments where the times the game dared to open up it's levels a little and left me exploring rather than engaging tedious firefights. Of the many breathtaking locations the level where you traverse mountains in a jeep or islands with a boat spring to mind as especially great and less linear structured. The gunplay left a flat feeling though, and while the AI made the battles challenging, the actual gameplay left me wanting something better. Uncharted 4 is one of PS4's finest offerings, though for me that often means graphics pushed before gameplay sadly. Previous to Rise of the Tomb Raider arriving on the PS4 recently, I'd say this was your best bet for a great action adventure on PS4. ROTTR though, is the better game all in all, and should definitely be prioritized before UC4. Some differences of opinions here, I'm sure, and it will depend on your taste and previous experience with either franchise for many. ROTTR feels in it's aftermath a more memorable playthrough from last year, while UC4 although played more recent, blurs into a more forgettable experience altogether. Absolutely a recommended buy for your PS4 collection if you've played ROTTR already and like I've said many times already; stunning and cinematic visuals! Fantastic dialogues and voice acting. Amazing scenery locations and variation. Very linear A to B structure, the player is hevily guided through the game. Gunplay isn't as polished or fun as it should be considering the many firefights. More freedom would have been nice with open ended locations.